Not many. A midcycle freshening is more likely for model-year 2016, leaving the ’15 to coast on the most recent updates to this stylish full-size sedan. 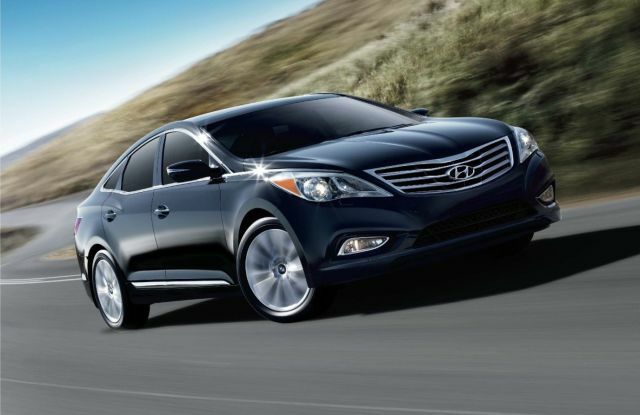 It slots into the automaker’s lineup between the midsize Sonata and larger Genesis and Equus. A division of the lineup into base and full-feature Limited models – both with bolstered standard-equipment — plus adjustments to improve steering feel, are the latest upgrades. To take advantage of expected revisions to styling and features – and to see if driving dynamics improve. The appearance changes would be subtle, probably no more than a refinement of the brand’s winged-grille motif and maybe some new taillamp lens and wheel designs, with different textures and graphics dressing up the cabin. Though offered with a number of high-end appointments at a reasonable-for-the-class price, the car earned criticism for its mediocre balance of ride and handling. Hopefully engineers address these concerns. It might also be prudent to wait and see if it get more of the safety features buyers are expecting from this type of vehicle. Items such as blind-spot alert and forward-collision warning have not been available. This is a disadvantage against similarly priced large sedans, including the Kia Cadenza from Hyundai’s corporate partner, which shares this same basic structure, drivetrain, and other elements. If you’re content with its looks — which are not difficult to appreciate. The stylists succeeded in their goal to create an “emotional” design that’s modern, upscale, and tasteful. 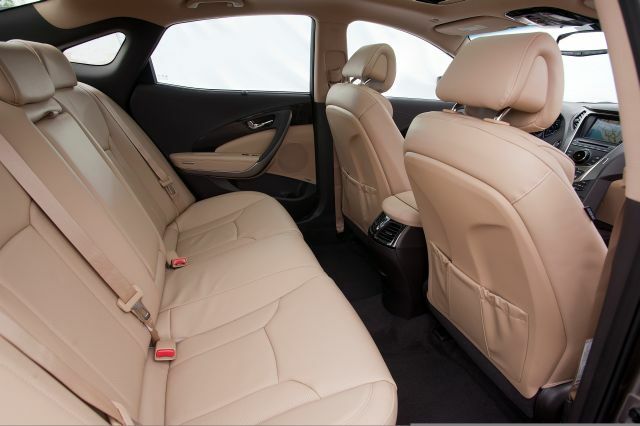 It’s impressively spacious, too, with stretch-out room front and rear on supportive seats. The brand’s trademark tons-of-amenities-for-the-money is on display, as well. Leather upholstery, heated power front seats, heated mirrors, dual-zone automatic climate control, and a rearview backup camera are all standard. This is near-luxury stuff at midsize-sedan pricing. The engine – a smooth V-6 – is up to par and fuel economy is good. If you’re a stickler for driving dynamics, this car’s slightly brittle ride and artificial-feeling steering may put you off – a rival like the Chevrolet Impala is an example of how a big, front-wheel-drive sedan should drive. But a ’15 Azera won’t come across as dated, at least not until the next full redesign, possibly for model-year 2018. So avoid the probable price increase, even save a few bucks on late-season inventory clearance, and consider a ’15. Other than perhaps a new color choice or two, maybe a fresh wheel design, no. There’s just enough brightwork to highlight the body’s curves, the profile shows today’s trendy fastback lines, and the stance is solid, with 18-inch or optional 19-inch alloy wheels pushed to the outer corners. This is essentially a stretched version of the company’s previous-generation Sonata midsize sedan. That car’s been redesigned for model-year 2015 and you can expect some of its slightly blockier styling cues to show up in the coming refresh. Azera was last redesigned for model-year 2012 and launched in one trim level complemented by a Technology Package option. For ’14, the marketing department decided to create a two-tier lineup with a base model and to essentially collect the Tech Package features to form a new top-line version called the Limited. None to the powertrain, though further adjustments to improve road manners aren’t out of the question. 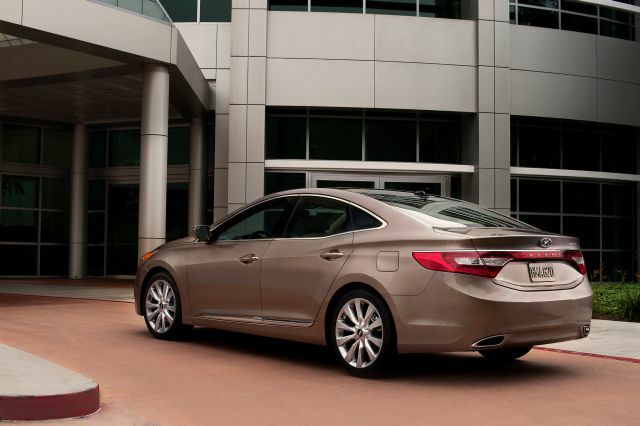 These South Korean automakers have had trouble dialing in their steering systems and for ’14 the Azera’s was in fact adjusted in an effort to make it more precise. Similar focus on better suspension compliance would be in order. Otherwise, one engine/transmission combo will return, and it’s a nice match. The 293-horsepower 3.3-liter V-6 and six-speed automatic furnishing class-competitive acceleration and easy cruising. Some competitors offer turbocharged four-cylinder engines, and Sonata has a good one; it could find its way into the next-generation of this car. And rivals such as the Toyota Avalon feature impressive hybrid models, and a future gas-electric version of this car could be on the drawing board, too. Four-wheel antilock disc brakes and traction- and antiskid-stability-control systems are standard. Not likely. Many automakers are moving quickly to automatic transmissions with seven, nine, even 10 gear ratios, but this six-speed here is helped by Hyundai’s impressive campaign to lighten its vehicles; indeed, this sedan weighs 100-300 pounds than most similarly configured rivals. Still, its EPA ratings should remain midpack, at 19/29/23 mpg city/highway/combined. Addition of lane-departure warning and adaptable radar cruise control would bring this car abreast of the class leaders in amenities. Otherwise, there’s little to add. The bifurcation of the line by no means created have and have-not models; both trim levels come quite well-equipped. In addition to the aforementioned features, the base version includes fog lights, pushbutton ignition, and a cooled glovebox. Standard infotainment consists SiriusXM satellite radio, a USB iPod port and auxiliary input jacks, a 6-inch color LCD audio display, and a Bluetooth hands-free phone linking with voice recognition, address-book download, and audio streaming. The Limited has all that, plus xenon headlamps; power folding side mirrors; power instead of manual tilt/telescoping steering column; memory for the driver’s seat, mirrors, and steering column; cooled front seats, and heated rear seats. It replaces the dashboard’s 6-inch screen with an 8-inch that hosts a navigation system. An electroluminescent gauge cluster and ambient lighting further gussy things up. You have to get a Limited to qualify for this car’s sole factory option, a Premium Package consisting of the 19-inch wheels, a panoramic sunroof, rear parking assist, a power rear sunshade, and manual rear side window shades. The price of the base model actually decreased for model-year 2014, so look for the carmaker to hold the line or impose relatively modest increases. These should remain among the most affordable cars in the class, especially given their equipment levels – and the value added that is Hyundai’s generous warranty coverage: 5 years/60,000 miles bumper to bumper and 10/100,000 powertrain. Base prices here include the destination fee, in this case $875. The base version lists for $31,895, the Limited for $35,645. It’s Premium Package costs $2,150. Even without an onboard GPS navigation system, the base model benefits from the auomaker’s BlueLink telematics and infotainment system, which is standard. It follows General Motors’ OnStar model by offering turn-by-turn navigation, emergency assistance and vehicle diagnostics. It’s accessible via buttons in the rearview mirror, a smartphone application and a dedicated website. Full access to these services is complimentary for 90 days, after which a monthly subscription fee applies.